Once again glued lapstrake plywood. 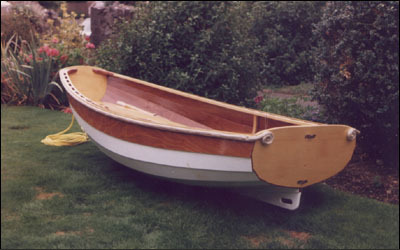 This boat was designed and built for a customer who wanted a very stable traditional yacht tender. This construction avoids the drying and leaking problems of traditionally planked lapstrake construction.